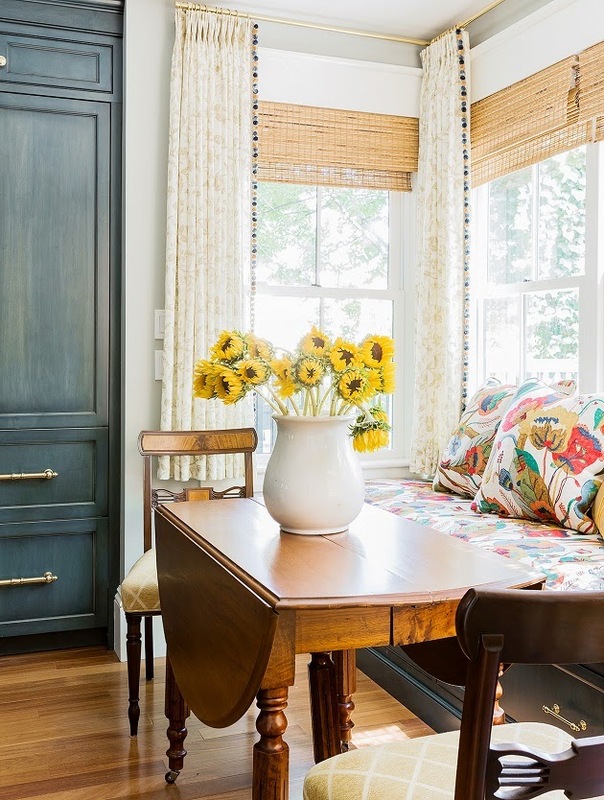 Mix and Chic: Favorite room of the week! 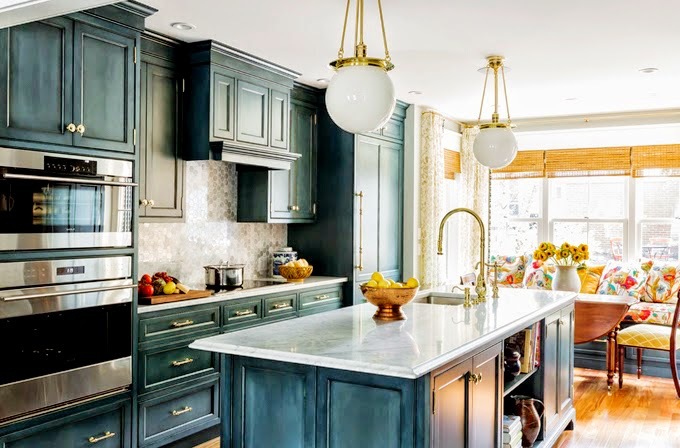 This beautiful kitchen is totally swoon-worthy and inspiring! 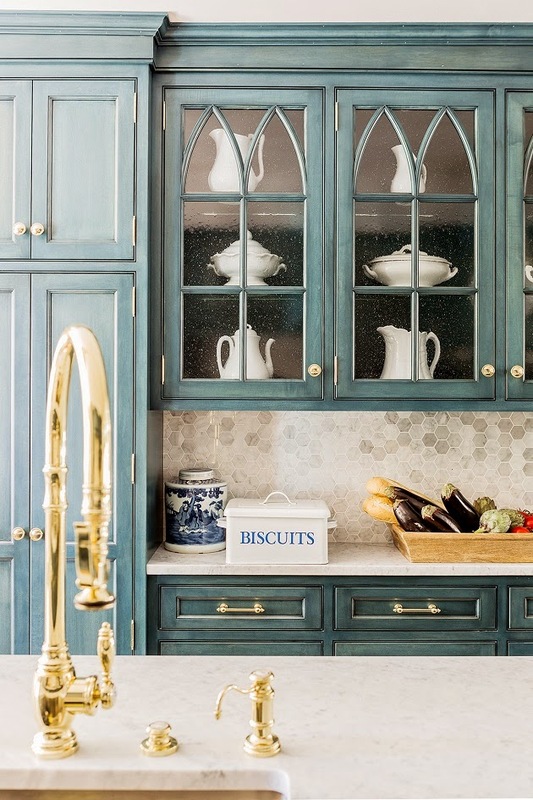 Designed by K. Marshall Designs, this brass and blue kitchen exudes elegance and timeless charm! 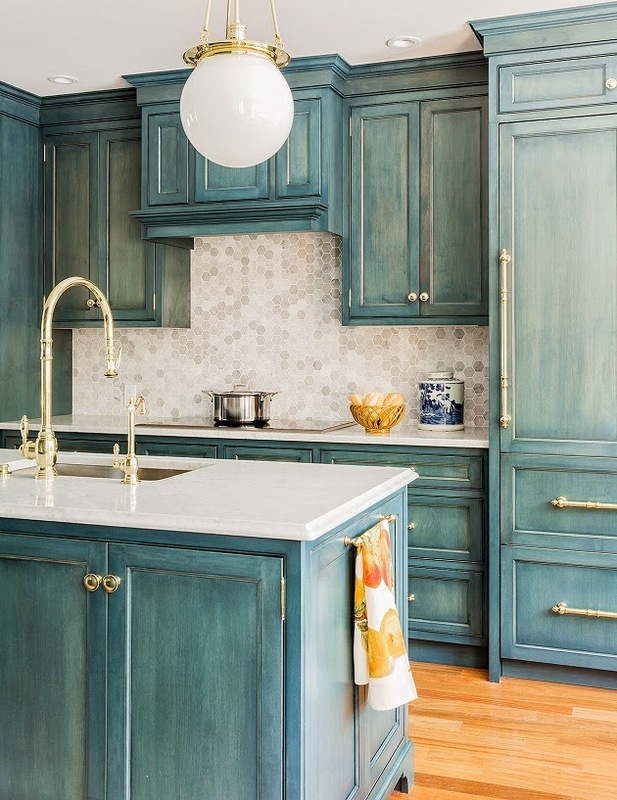 I think the blue-green cabinets are absolutely stunning and refreshing. The shiny brass hardware provides a great contrast against the lightly distressed cabinetry finish. I really like the combination of classic touches with the more updated marble hexagon tile backsplash. Such a visually delightful and well-balanced kitchen, what's not to love? Your thoughts? It's amazing how brass is making such a huge comeback. It looks new, fresh, and I love it. Cool designer alert- Katie Martinez! Cool designer alert- Laura Umansky! Guess who is getting one year older? Aren’t All Wine Glasses the Same? Cool designer alert- Brynn Olson! Home tour- A fresh and youthful Los Angeles home!